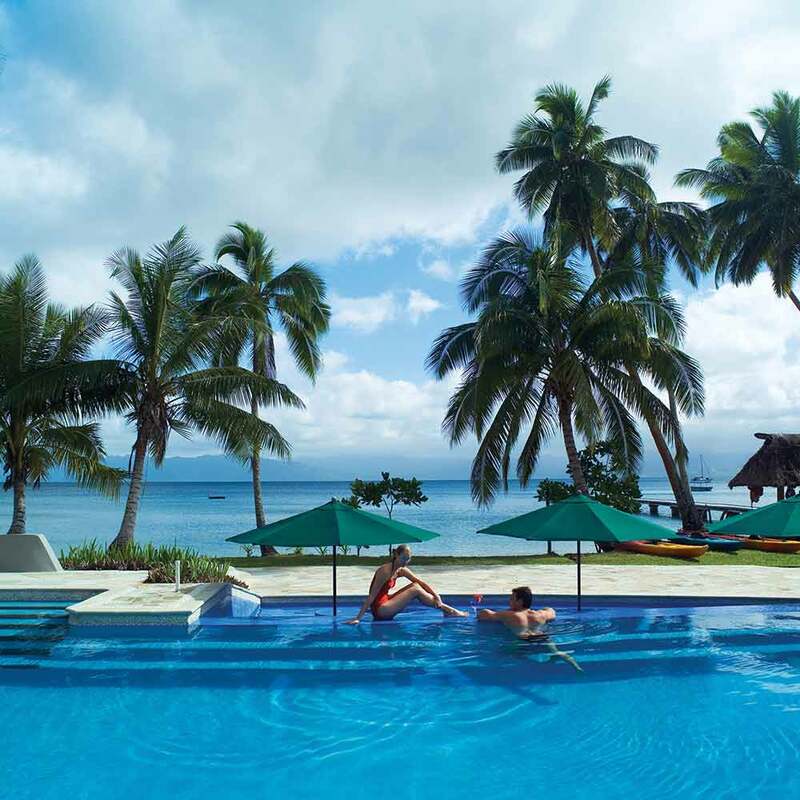 The four-star Jean-Michel Cousteau Resort is located on the island of Vanua Levu and is set on seventeen acres of a former coconut plantation overlooking the peaceful waters of Savusavu Bay. 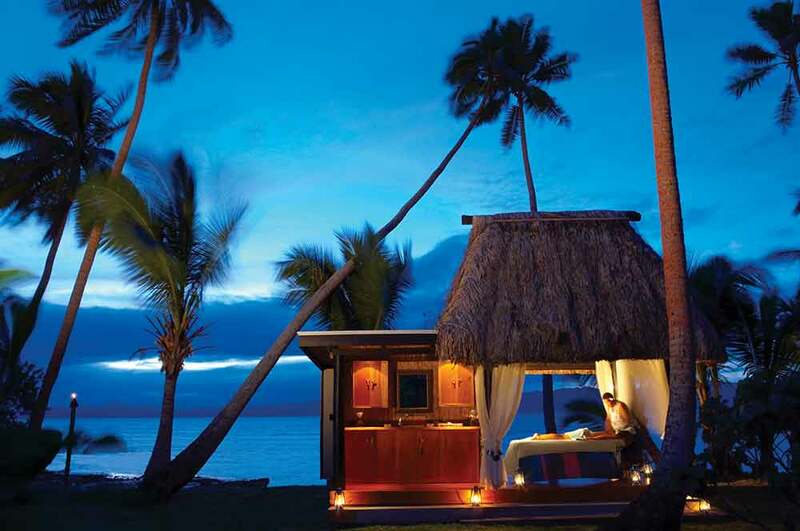 This award-winning resort has a full-time marine biologist to help visitors appreciate the underwater world of Fiji and offers a wide range of eco-friendly activities. 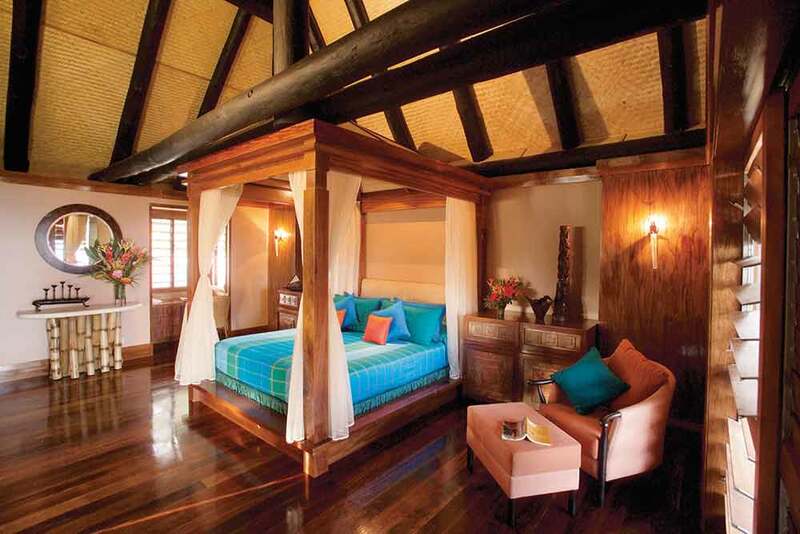 The resort features 25 traditional thatched bures built of local timbers. Each bure has rattan furnishings, king size bed with custom-made mattress, small sitting area, wooden louvered windows, overhead fan and private deck with garden or ocean views. Oversized bathrooms offer double sink basins and separate showers. To ensure a serene environment, the bures have no telephones or televisions. Garden View Bures overlook tropical foliage, colorful flowers and exotic plantsj, while Oceanfront Bures have ocean views. Oceanfront Suite Bures feature one king bed and one single day bed in the main area and one king bed in a separate, smaller room. Two Bedroom Oceanfront Bures are ideal for families of four or five who want ocean views, comfort and more privacy. The bures feature two bedrooms and small sitting area in the main bedroom. The main bedroom features one king bed and one day bed, the smaller second bedroom provides two twin beds. Point Reef Bures, set in a secluded area of the resort, have split-level design with one king bed on the upper level and two separate day beds on the lower level or sitting area. All offer spectacular ocean views from the living room and bedroom. Honeymoon Point Reef Spa Suites are similar to the Point Reef Bures, but feature a private spa tub on the deck overlooking the sea. The luxurious Villa features a four-poster king bed, bathroom suite with sunken Jacuzzi, double shower, separate sitting room, pool, day bed pavilion, outdoor shower and a walled garden. The resort's meals are served in an open-air dining room, which overlooks the sea and features a 60-foot high temple roof. 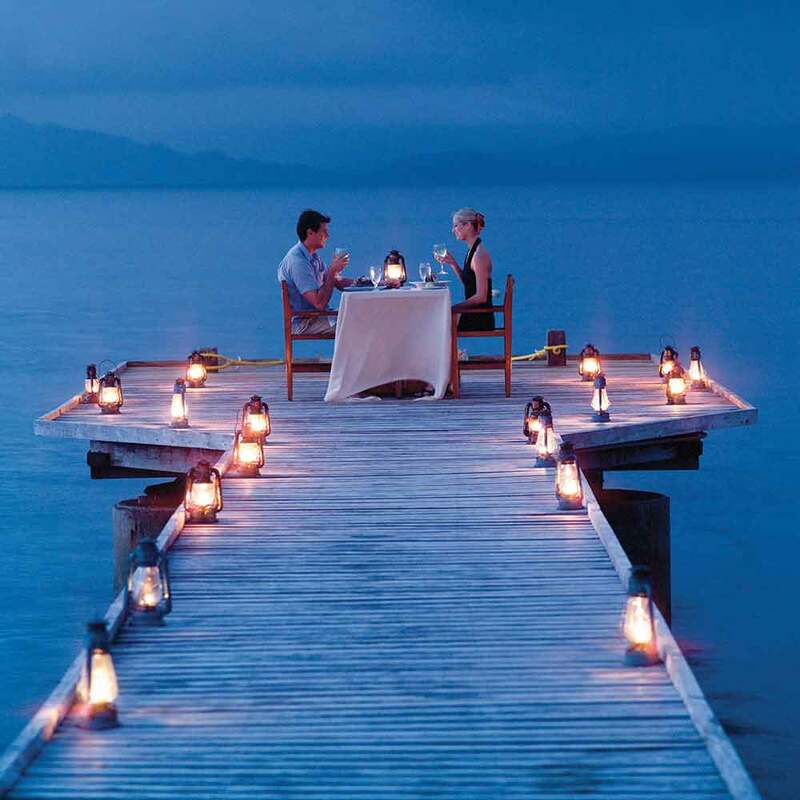 The restaurant specializes in contemporary Fijian, South Pacific and International cuisine complemented by an extensive selection of fine wines.